A group of players will record their name in the history books of this fixture, and others are destined to do so if we analyse their recent trajectory and the dynamics with which they arrive at the game. Andrés Iniesta and Leo Messi, for Barça, and Sergio Ramos, for Real Madrid, could play their 37th El Clásico on Saturday. Only three players from either side have contested more: Paco Gento and Xavi Hernández (42), and Manolo Sanchís (43). To talk about El Clásico in the 21st century is to talk about Leo Messi. The Argentinian is the top scorer in the history of this duel with 24 goals, and he loves to score at the Santiago Bernabéu where he has 10 goals in the League. With a total of 14 in all competitions, the Bernabéu is the visiting stadium where Messi has scored most goals. He comes into this fixture having already scored 14 in 2017/18 and also having hit the woodwork 12 times. The other two big names that will set foot on the Bernabéu pitch this Saturday are Paulinho and Suárez. 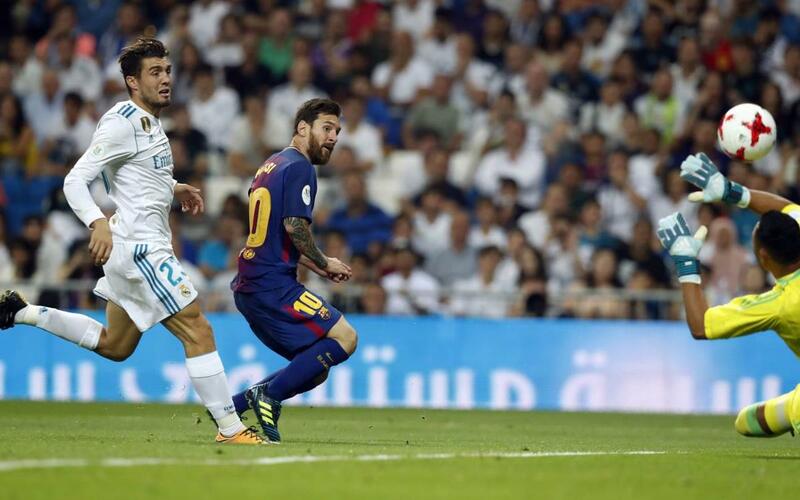 The Uruguayan has four goals in the last six El Clásico’s, and has the best recent scoring streak in this fixture between the two teams. Paulinho is the midfielder who has scored most goals in the 2017/18 League campaign. Six from the Brazilian so far, which matches the output of Real Madrid’s two leading players, Cristiano Ronaldo and Karim Benzema.